It was very nice place to stay a group of 4 of us went. The location is very good, being next to Bromley Place. Location is great! Quiet. Peaceful. The location is literally right across from the Birmingham arena. It was walking distance to the Christmas market and lovely shopping area. It was also walking distance (a little far pulling luggage) to the main train station. Really like the room overall. Excellent balcony. The ladies at the front were great when I arrived. Property was spacious. Proximity to the conference I was attending was accurate. Lock in a great price for City Nites Birmingham – rated 8 by recent guests! 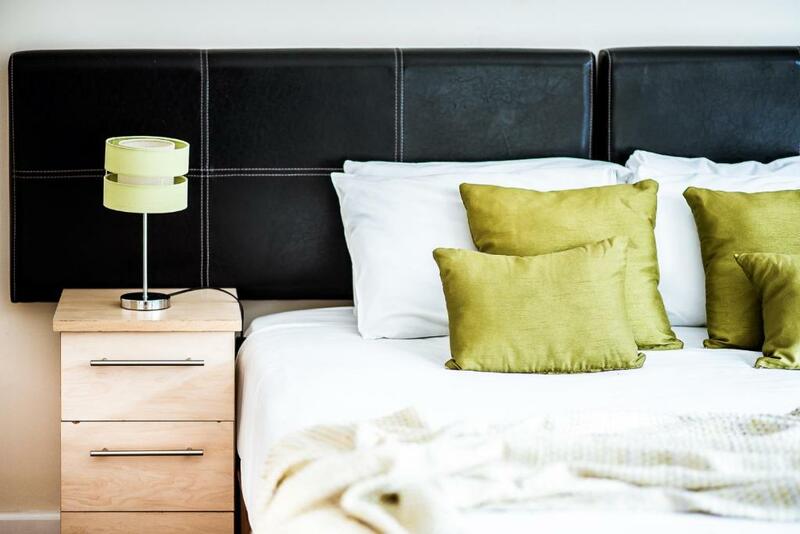 City Nites Birmingham This rating is a reflection of how the property compares to the industry standard when it comes to price, facilities and services available. It's based on a self-evaluation by the property. Use this rating to help choose your stay! 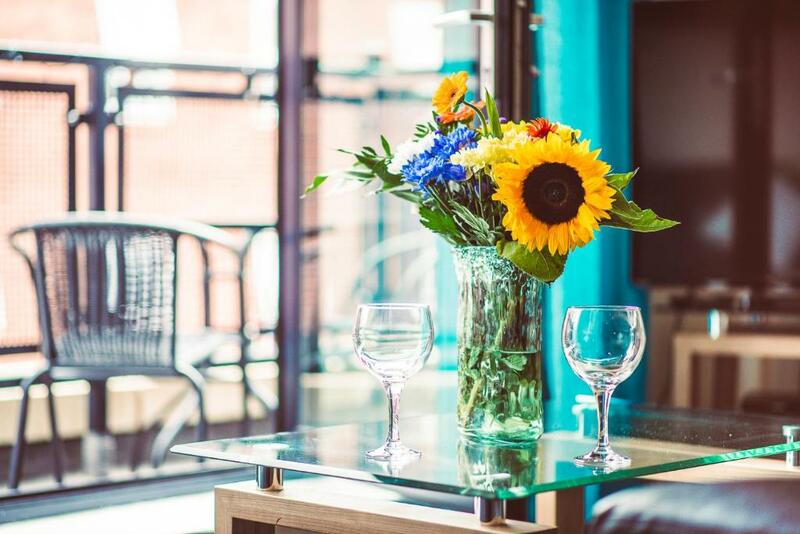 One of our top picks in Birmingham.City Nights serviced apartments offer self-catering suites in Birmingham. 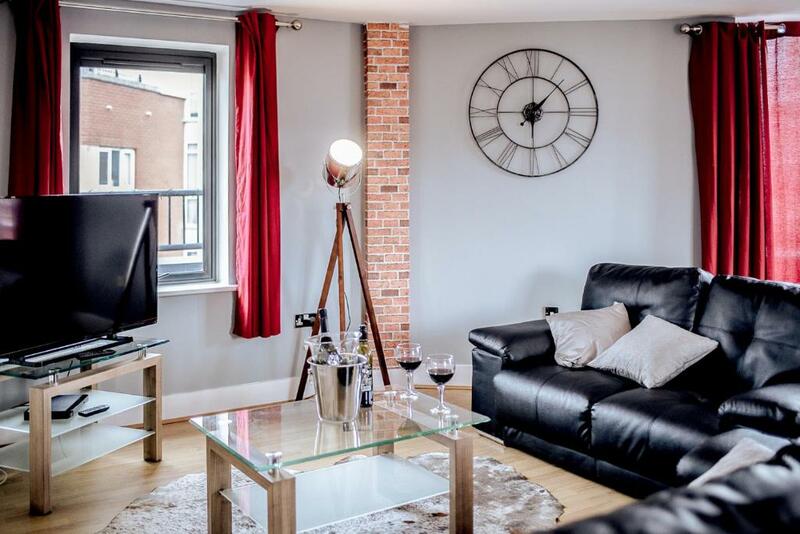 These stylish modern apartments are in Birmingham city center, 450 feet from the Arena Birmingham and just over 5 minutes' walk from the International Convention Center (ICC) and Symphony Hall. These large apartments feature complimentary Wi-Fi and a fully equipped kitchen. These City Nights serviced apartments feature an open-plan lounge area with large wall-to-ceiling windows, some have balconies. They include contemporary furniture, a TV and DVD player. Kitchens have an oven/hob, fridge/;freezer, dishwasher (subject to availability) and a washing machine. Kitchenware is provided and there is also a dining area. Bedrooms are decorated in fresh light colors and have comfortable beds and bedside lamps. Spacious bathrooms include baths, showers and free toiletries. 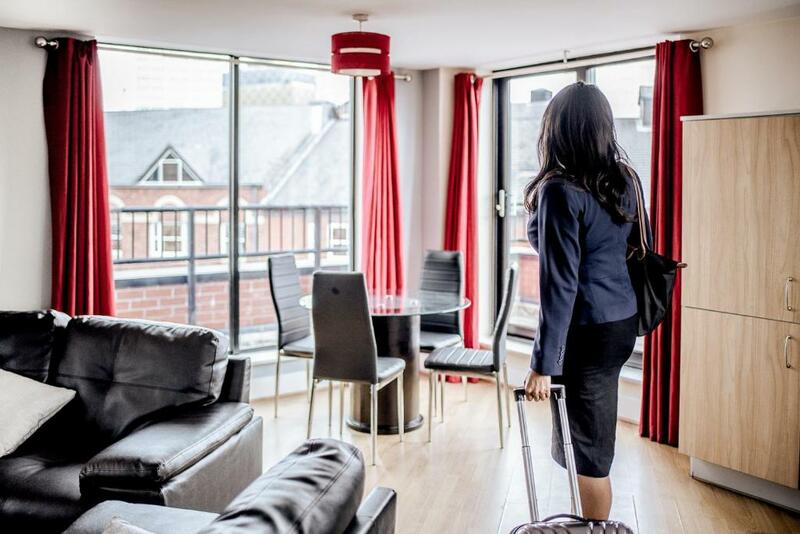 Just a short walk from Birmingham New Street train station as well as the Arena Birmingham and Bull Ring shopping center, Brindleyplace and many more iconic landmarks, restaurants and bars. 뀐 Located in the top-rated area in Birmingham, this property has an excellent location score of 8.5! 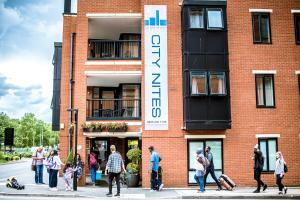 When would you like to stay at City Nites Birmingham? This room's features include a flat-screen TV, complimentary Wi-Fi (subject to availability due to streaming restrictions), and free toiletries. This apartment features a balcony, washing machine and dining area. House Rules City Nites Birmingham takes special requests – add in the next step! A GBP250 damage deposit is required on arrival (around USD324.44). This deposit will be fully refunded 7 days after check-out, as long as there isn't any damage to the property. Debit card City Nites Birmingham accepts these cards and reserves the right to temporarily hold an amount prior to arrival. City Nites Birmingham accepts these cards and reserves the right to temporarily hold an amount prior to arrival. A security deposit of GBP 250 is required upon arrival, this will be taken as a pre-authorization on a valid credit card. This is in case of any damages, breakages or violation of terms and conditions. Once the room is checked on departure, this amount will be returned by reversing the pre-authorization performed on the card. If you expect to arrive outside reception opening hours, please inform City Nights Birmingham in advance. Guests should kindly note that the property requires guests under 21 years of age to stay with a parent guarantee. Pets are charged up to GBP 20 per stay. Please contact the property directly for details. Cards used to pre-pay Advanced Purchase (nonrefundable) bookings have to be presented on arrival for security reasons and will be charged 1p via chip and pin. Valid photo ID must be provided. A damage deposit of GBP 250 is required on arrival. That's about 324.44USD. This will be collected by credit card. You should be reimbursed within 7 days of check-out. Your deposit will be refunded in full by credit card, subject to an inspection of the property. When it said free toiletries I thought there would be more shower things instead of hand wash and body wash. Should be more clear. Very clean. Great range of kitchen equipment so we could cook our own dinner. Beds comfy. very comfortable beds and well equipped kitchen. Apartment is a bit run down. Windows doesnt close properly so its noisy at night. Bath unit is a cheap one so standing on it while shower makes u feel it will break any time. Wasnt clean. Floor is filthy and hair is all over on your bed. Balcony has cigarette butts all over. Staffs at the reception are so friendly and helpful. Great location. The location was great to attend an event at the Barclays Arena. The apartment had great facilities aswell. Would highly recommend these 2 bed apartments. The apartment was not cleaned thoroughly before I arrived. There were hairs in the bed and nail clippings in the hallway! Disappointing after a great arrival experience. Mattress is not comfortable, carpets are not clean. Had to pay using a website as they don't have card machines in reception, if you are going to an event at Arena Birmingham next door then it may take a couple of times to go through as many people will be using the internet. The apartment was very clean and spacious. The beds were really comfortable. The facilities in the kitchen area were really good. Would recommend to friends and stay again. Right next to Arena Birmingham venue so great if going to a show there. Not clear where reception is once you arrive and a little difficult to park up to go to reception and get code for using the car park.. The apartment was nothing like the website photos, decor was dated and shabby, walls were marked and burns in the carpet. Although it is a non smoking apartment, it smelled of smoke. The cups were dirty and needed rewashing, the fridge had dried milk dirt. The heaters had a bright blue led light which lit up the bedroom and disturbed sleep. The he second bedroom (a very small room) had a double bed instead of two singles as advertised on Booking.com and this was so big that the door wouldn't shut without having to move the bed out of the way. The location to the Birmingham Arena was fantastic, literally a stone's throw away. Location! Superb for arena. Really well equipped and spacious apartment. The quality, style of each unit/apt is different. I was unfortunate this time having an apt with broken tap. Super close to Arena Birmingham where most events are held. Staff member at check in was very grumpy. Both apartments we used weren't clean and both had unclean dishes in cupboards.. including food on utensils etc..
Apartments are fairly spacious and parking is secure for a daily £10 charge.